In the wake of communism’s decline, women’s concerns had become increasingly important in Eastern Europe and the former Soviet Union. Yet most discussions of post-communism changes had neglected women’s experiences. Originally published in 1993, this title was the first collection of its kind, presenting original essays by women scholars, politicians, activists, and former dissidents from Eastern Europe and the former Soviet Union, along with essays by Western feminists and scholars. 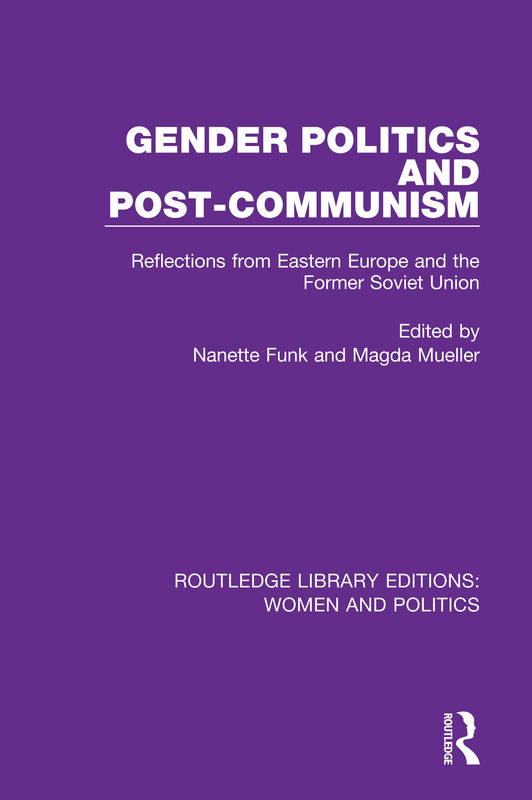 They discuss gender politics during the often turbulent transition and crises of post-communism, offering vivid accounts and analyses of the conditions facing women in each country. The Bulgarian Case: Women’s Issues or Feminist Issues? Are Women in Central and Eastern Europe Conservative?